We think we just found the most perfect groom out there! 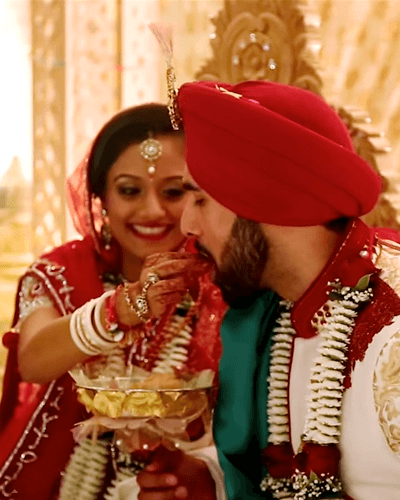 Trust us, you’ll feel the same way when you watch this totally adorable wedding video of Dilpreet and Roshni. If only we could have actually been there to see his amazing reaction on seeing his bride for the first time on the wedding day - we don’t think we’ve ever seen a man so ecstatic to be getting married! Our favourite bit starts at 1:50 seconds into the video, and pretty much goes on for the rest of it. And you might want to watch it right to the end - you don’t want to miss the groom’s heartfelt speech and the couple’s first dance (when he twirls her around the dance floor and picks her up in his arms!). Totally adorbs! !